I don't think it's any secret that most of today's society is addicted to their electronic gizmos and gadgets. Most of you have probably seen those "Top 50 Things to Disappear in an Emergency" lists, and it's no surprise that batteries for those gizmos and gadgets is on them. Most preparedness supply checklists include batteries. But as we all know, all batteries eventually die, even the rechargeable kind. In fact, they will die without ever being used, because their lifespan is based on a chemical process that begins as soon as the battery is assembled. So no matter what kind of emergency scenarios you feel compelled to prepare for, finding alternatives for those battery operated items is only prudent. 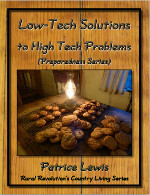 Along those lines, Low-Tech Solutions to High Tech Problems from Patrice Lewis's Preparedness Series is a excellent addition to the PrepperBundle. 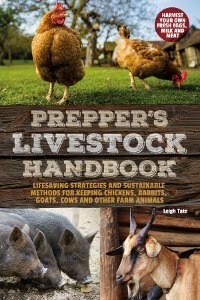 I love this book for its common sense approach to prepping. Patrice is right - we don't need all the fancy, expensive prepping supplies and products that are now offered via preparedness marketing, we need simple, realistic solutions to our lifestyle needs. And this book offers them. Highly recommended. 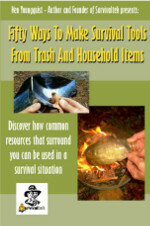 Fifty Ways To Make Survival Tools From Trash And Household Items by Kenneth A. Youngquist is a book with a lot of outside-the-box ideas. How about cooking in a plastic bag, pull-tab fishing hooks, making glue out of styrofoam cups, or milking a tree for water? All that plus a lot more clever ideas for firecraft, fishing and trapping, cooking, water, and other miscellaneous tools, all made from common discards and other items that most of us have available. 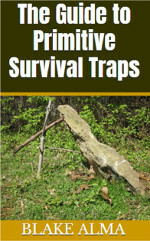 And then there is The Guide to Primitive Survival Traps by Blake Alma from The Outdoorsman's Art Radio Show. Most of us probably can't envision going trapping, but if one doesn't have a kill-worthy weapon and there are no fruits, vegetables, nor grocery store around, it might not be a bad idea to know how to do this. Blake begins by discussing making a survival kit, and then goes on to show the reader how to make a variety of easy snares and traps. Includes how to find the best places to place them. 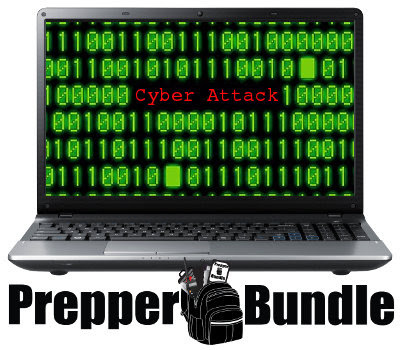 The PrepperBundle will be available through tomorrow night, June 12 at Midnight (Central time). You can choose online access to download the bundle for $29.97, the flash (thumb aka USB) drive option for $54.97, or both for $59.97 (one for you and the other as a gift). My husband often watches YouTube survival videos, how to this and how to that! I admit, despite having lots of common sense I'd be lost without technology. Tania, I think we all would be lost without it, because it's our lifestyle. I think the real problem is that it's gotten so complicated that it often tends to be counterproductive. Some folks love it, but I think it bothers many of us to be so dependent on it. And expensive. They are expensive to buy, expensive to maintain, and expensive to repair. And how many times do we throw something away simply because we can't repair it? I think that's a huge motivator in the trend toward simpler living and traditional skills - like Dan's workshop! For every high tech tool we have (such as my electric grain grinder) I try to have a manual alternative as well (like my Country Living grain mill.) I confess that it's often quicker, easier, and less noisy to do something by hand than drag out a piece of equipment just to use, clean up, and put away again. 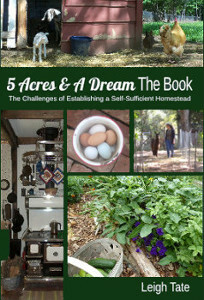 It is a lifestyle change, but I think it's better suited to my own frugal, simple nature than a high tech one. Don't forget extra reading glasses! Remember that old Twilight Zone where the guy had all the books to read after the world ended and his glasses broke. It is seriously something to consider since they are so cheap. I don't depend on batteries for long term things, I have tried to think outside of the box or in this case outside of the device. Sunnybrook Farm, excellent advice! Those of us who wear glasses should have at least one extra pair. I'm with you on the battery items, although I'm interested in solar electricity to keep larger batteries recharged. Still seems prudent, however, to back up my back-ups. I try to have low tech options available, in the event that the modern technology I'm used to goes away. For instance, I keep a washtub and bar laundry soap, as well as a scrubbing board. Never had to use it and hope I never do, but I don't want to be down at the creek pounding clothes with a wooden paddle. Harry you've reminded me that I have a washboard. It's been a "decoration" for so long that I'd forgotten all about it! I should get a washtub too. I also have one of those plunger type washers, but I'll need a washtub for that too! I've enjoyed reading all the bundles, and it's great to know others are already thinking about solutions and experimenting, in what could be the future.